No Fault? Yes - covers everybody named on the auto policy is covered regardless of at fault or not at fault accident. Who is covered? the person named in the policy as a driver & All his/her passengers at the same chosen limits. Does it follow me as a passenger? Yes, also as a pedestrian if hit by an auto. What is a good amount of Coverage? $10,000 is good, $5,000 is way better than nothing. Cost? that varies upon where you live, like all auto insurance. In San Luis Obispo, CA $2-$3 per month for $10k per person per accident; in L.A. 3-4x that. Where can i go to get medical Treatment? any where, use it to pay for your Chiropractor, ambulance, E.R., M.D., P.T., X-Rays & MRI for all symptoms/problems arising from your accident/air bag impacts such as: whiplash, sciatica, neck & low back injuries, concussion, subluxation. Note: some discount auto insurance companies require your to prove that you do not have any other insurance before they will pay. Or you have exhausted your other insurance. And! most of the time, but not all, your insurance WILL want to be reimbursed by either your settlement or by the other insurance company. 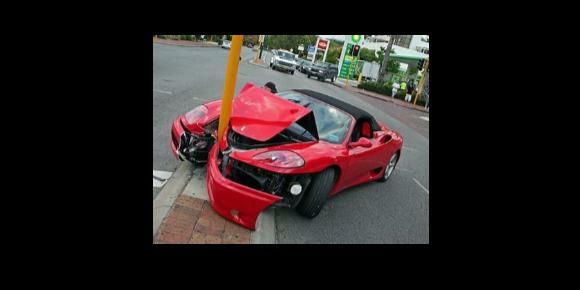 So For pennys per day, Right now, Call your auto insurance person & add it BEFORE an accident happens. Even if your have health insurance!, because it is the easiest way to not get sued by a friend of a friend riding in your car!